Published July 1, 2016 at 376 × 500 in Ann Arbor Observer Covers. The Ann Arbor Observer, May 2016. 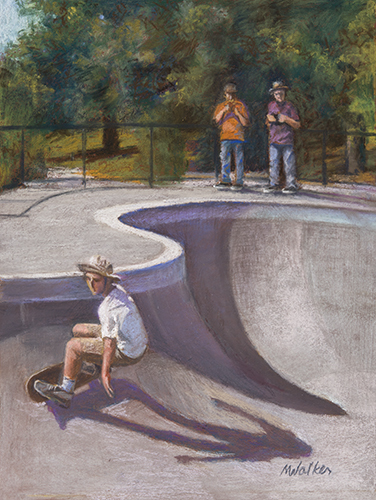 17″ x 13″ Pastel Painting of two people making a movie of an Ann Arbor skateboarder.